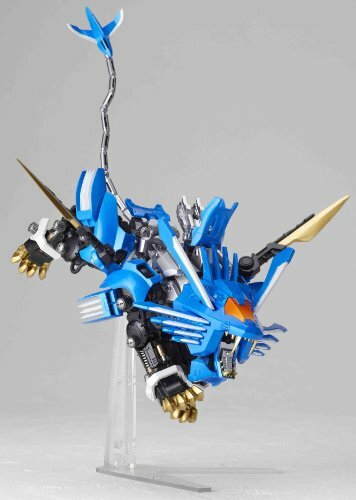 From Zoids model kit and anime, this is Zoids : Blade Liger Revoltech 093 . 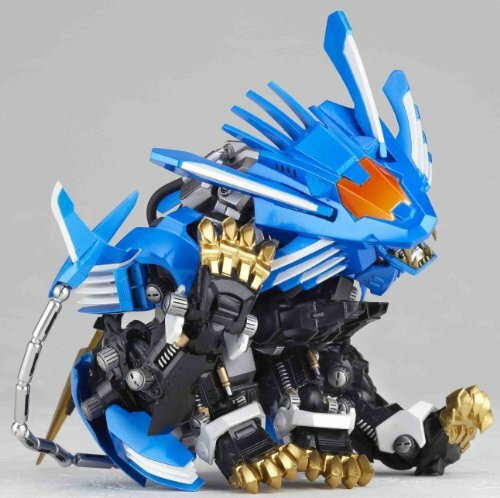 The Blade Liger is a Lion-type Zoid, a race of mechanical lifeforms from the fictional Zoids universe. Height: approx. 85mm Length: approx. 150mm. 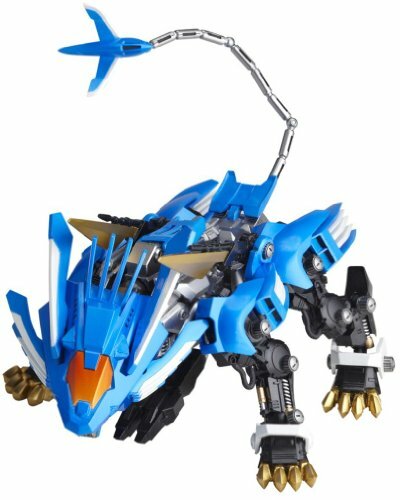 Released in July 2010 as part of the Revotech line, the Revotech Blade Liger is quite different from previous Blade Liger model kits. As with the HMM version, it features no motor, but has an even wider range of flexibility. However, it is smaller than most other Blade Liger models. 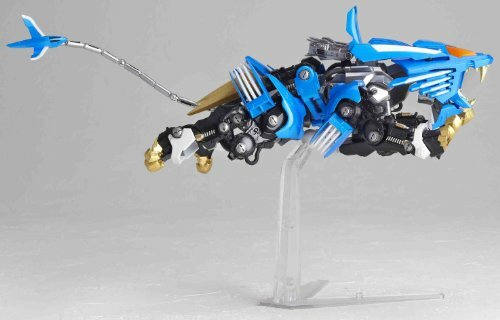 The Blade Liger features heavily in the first two anime series’, Zoids: Chaotic Century and Zoids: Guardian Force, as it is piloted by the main character, Van Flyheight. 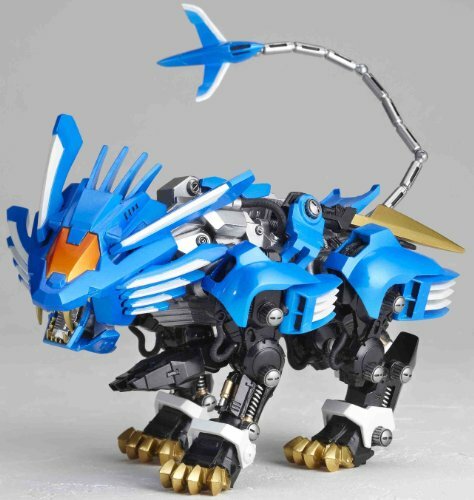 It also plays a relatively important role in the Battle Story and secondary roles in the Zoids: New Century Zero and Zoids: Fuzors anime. The arrival of the Geno Saurer in ZAC 2099 posed a severe problem for the Republican army’s forces on the Western Continent. With its high performance and devastating Charged Particle Cannon, the Geno Saurer was more than a match for anything that their forces fielded. When upgrades of the Shield Liger and Gojulas proved to be difficult to use, the Republic developed a new Zoid, the Blade Liger.